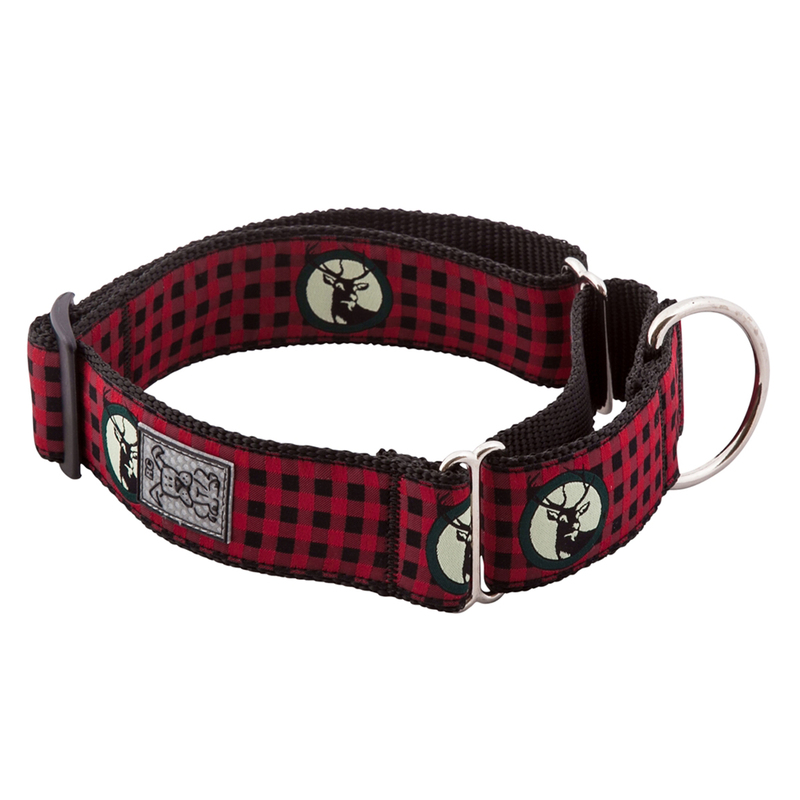 The Urban Woodsman All Webbing Martingale Dog Training Collar is an excellent alternative to traditional choke chains. It reduces tugging with a swift clean correction. 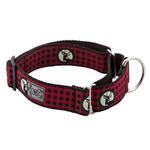 The all webbing design reduces the weight of the collar and staining of the fur. This collar features an original RC Tape pattern, nickel plated hardware, and a reflective label for nighttime visibility! Posted On 04/09/16 by FurKidMom from Portlandia, OR Yes, FurKidMom recommends this product! Time will tell, but it appears to be well-made and I love the pattern. I wish this style came in more colors than those currently offered. Love Baxter Boo!!! They have fabulous products, great prices and my dog loves to wear their clothes. Great shopping experience!! !